This is the seventh article in Amrutam’s series of articles called Rediscovering Ayurveda, which aims to understand the idea or perception that modern-day men and women carry about Ayurveda. Sushant is the founder of resanskrit which is a platform to promote Sanskrit and bring the ancient pearls of wisdom to the modern world. He started resanskrit because of his immense love for the language. Sushant is also very passionate about yoga, meditation and spirituality. Let’s read what Sushant has to say about his journey with Ayurveda. Ayurveda was just another thing for Sushant which he heard about from people, however, as he dwelled deeper in to ancient ayurvedic text books, he found it highly fascinating. For me Ayurveda was just a common term which I have been hearing people use since my childhood. But when I started learning more about it, I realized that we truly have a goldmine. My respect to our ancestors for developing such a sophisticated natural science of well-being grew manyfolds. The thing that made me a true believer is the fact that Ayurveda focuses on treating the root of the problem and not just the symptoms. Sushant’s favorite healthy habits include practicing yoga and eating a natural and healthy diet regularly. He practices yoga four times a week, to keep his mind, body and spirit fit. He also believes in eating the right kind of food according to his dominant dosha. Sushant has a simple formula which he follows to keep up his bodily and spiritual health. His health routine includes yoga, fruits and enough amount of sleep. My daily health routine includes about half hour of yoga, drink about 4-5 liters of water, try to eat at least one type of fruit, and get enough sleep. Sushant has been an avid reader and it is his love for reading which led him to discover Ayurveda, as a way of living. The best way to learn something is by doing it, by practicing it. Sushant believes the same; he believes that the awareness regarding Ayurveda can be increased only when individuals begin to practice Ayurveda as their way of living. Make people experience the benefits of Ayurveda in learn by experience way. 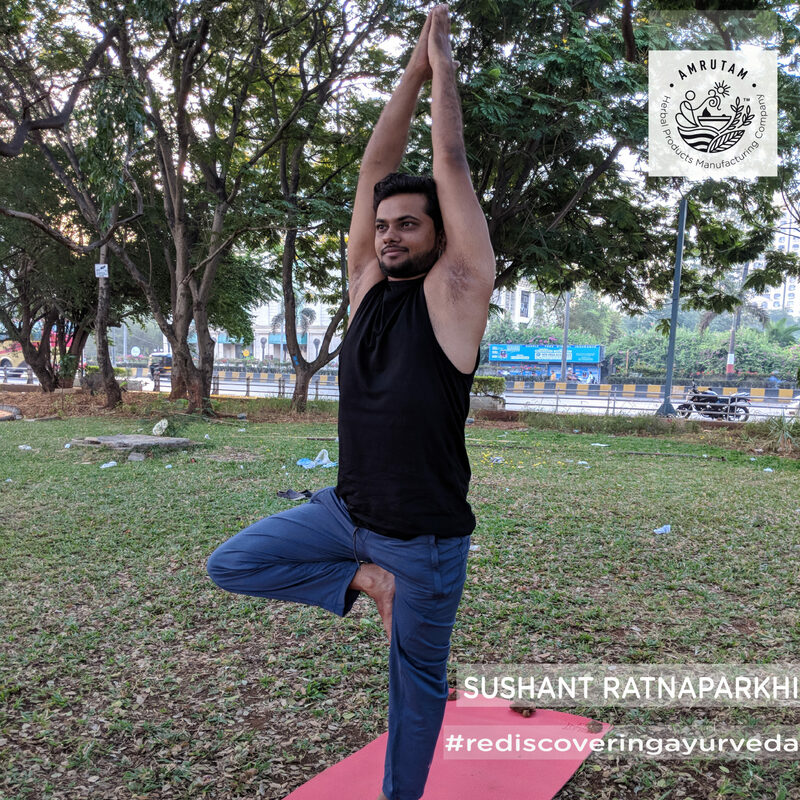 Sushant has a very deep and philosophical message for all the Ayurveda, spritiual, yoga and healthy living enthusiasts.